Yay! 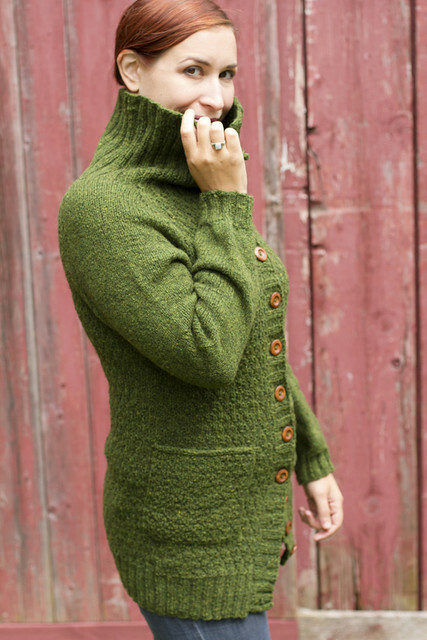 Harrisville Designs’ Fall collection is out, and I have not one but TWO sweater patterns in it! Check out the whole lookbook here. 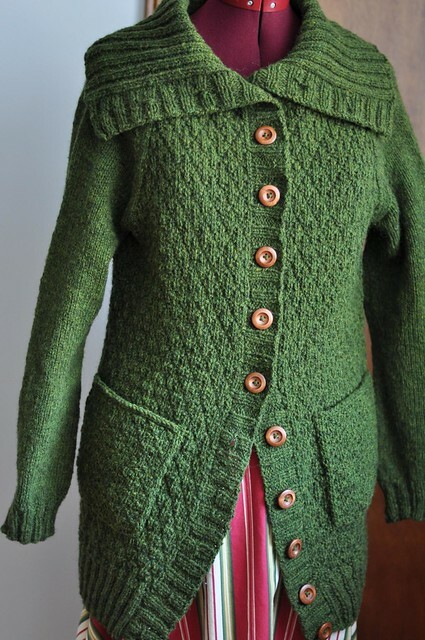 Official blurb: Brentwood is a cozy, tunic length cardigan that’s easy to knit with deep ribbed edges, textured stitch pattern and sailor collar. Deep pockets and long sleeves ensure this is one sweater you’ll live in this fall! Full disclosure: I didn’t knit this sample. Mari asked if I thought I could swing 2 designs for this collection, and although I was up for the math and writing, my wrists weren’t quite up to the task! So I asked my bestest buddy Denny to knit the sample for me. She did an amazing job, of course. I did knit the pockets, since I decided to add them later on in the process. Wanna see my original sketch? I know I love seeing the beginnings of designs. 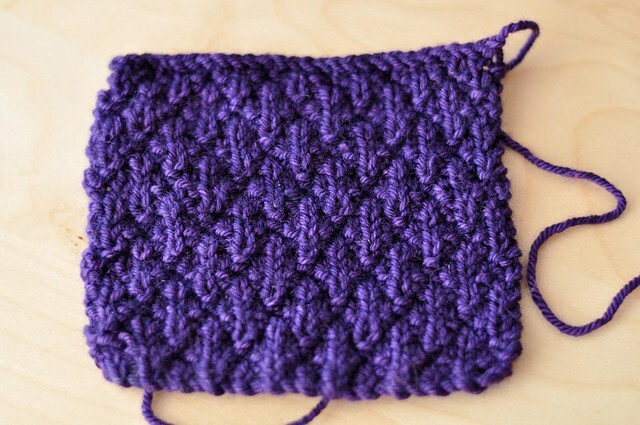 And here’s my swatch – the Seersucker stitch is easy, just knit and purl, and is lovely and squishy. I managed to get a few photos on my dressform before I sent off the sweater for a different perspective. Random aside: I tried to change the size of my dressform today and none of the dials would move at all. I guess it’s going to remain rather smaller than me for the time being! The colour is difficult to capture, but it’s such a lovely deep green with yellow undertones. 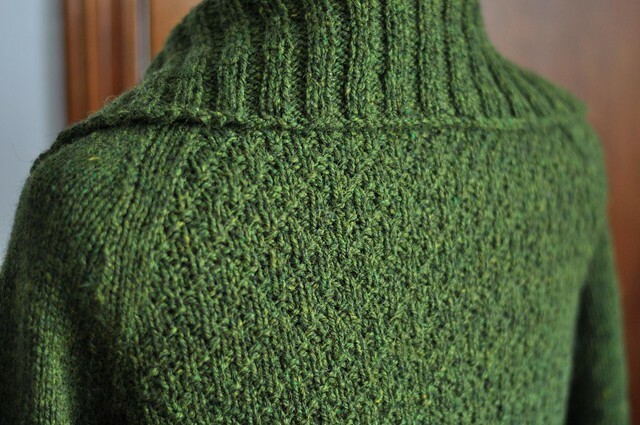 Harrisville’s Highland has so much depth from combining different colours of fibres. 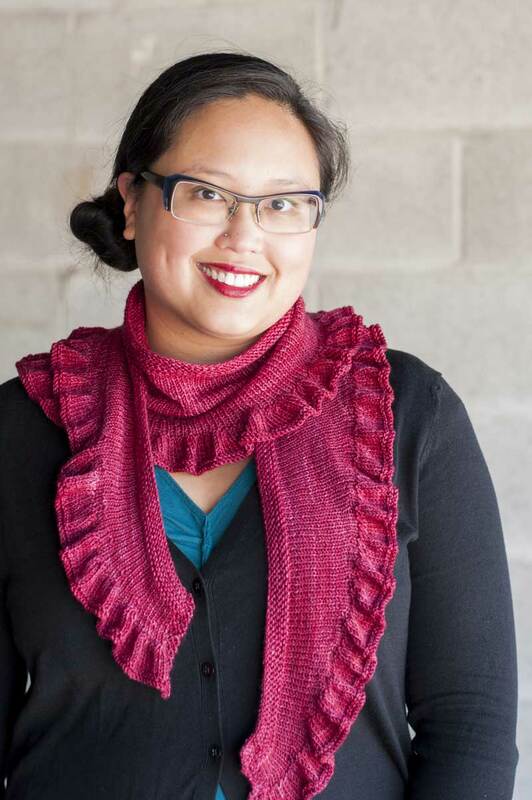 It’s definitely a wooly-wool, but I love the sturdiness – it really feels like it would hold up forever. The skeins are nice and big, with 200 yards each, and quite affordable as well. Big pockets! The buttons are from AnnyMay on Etsy, based in Montreal. Very cute Laura! 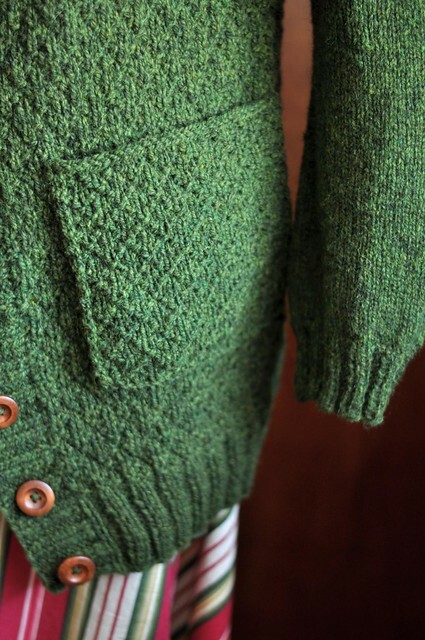 We can all certainly use a nice cozy cardigan in our wardrobe. Love the texture stitch. I really love this sweater. I tried it on as soon as I saw it, and it is SO COZY. Great job, Laura! Now where’s your blog post about the other sweater in Autumn 2014? !